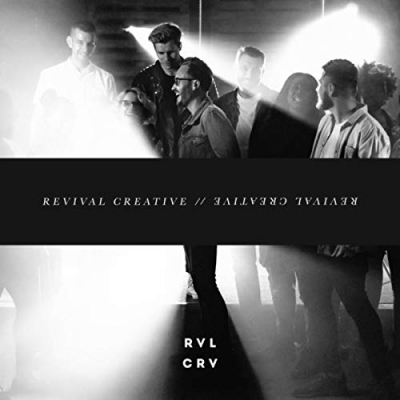 UK based Revival Creative’s debut album was birthed from the rhythm of song-writing, serving the church and leading worship at various conference and events. As the worship collective of Revival Fires Church, Dudley, the team’s desire was to capture something of the presence and atmosphere of the Holy Spirit as a community of believers brings their devotion and affection to Jesus. Produced by Ryan Baker-Barnes, Günther Kass and Jeremy White (Bright City) and mixed by Jonny Bird (Martin Smith, Soul Survivor, Matt Redman), this release features 10 original songs that will inspire you in worship. Read More UK based Revival Creative’s debut album was birthed from the rhythm of song-writing, serving the church and leading worship at various conference and events. Songwriter Ryan Baker Barnes says "These last 18 months have been an amazing journey. Laying aside the solo projects to build with community, the people we see week-in and week-out. Being intentional about relationship and songwriting. Redefining our view of success and loving the creative process. And so Revival Creative emerged, a community of worshippers at our church of Revival Fires. These are my friends, this is my family, this is our sound.”. That's what I really felt with this album, this is an album that feels fresh and unique and it's amazing to hear that. The energy of this album is apparent from the moment you press play. 'Awake' is a stunning song that draws on modern worship sounds. There are some lovely guitars on this opening track that makes the song soar. The energy continues with the groovy drums and synths on 'Open Arms'. I loved both these songs from the off. As you might expect with an album from worship leaders in the local church, you have tracks that have anthem choruses and also songs that are really honest and intimate. 'Come Holy Spirit' grows and grows into a massive song, a really big song that takes off and takes you to a place that we all should be at, humbly asking God to "breathe on me". This is such a powerful album that uses a mix of sounds very prominently. The musicianship is wonderful, with great drums, strong guitar tones and lovely use of synths without going over the top. There is a nice mix of sounds coming from the vocalists that it's hard not to get drawn into the songs. For a debut album this really is top stuff. When you have songwriters this good working with a great production team, this album was always going to come out tops. I can but recommend this to you as well worth investing in. These are songs that draw the heart and soul closer to God through amazing worship music. Top Stuff!